Sheesh Mahal of Jaipur is popular with the name of 'Hall of Mirrors'. 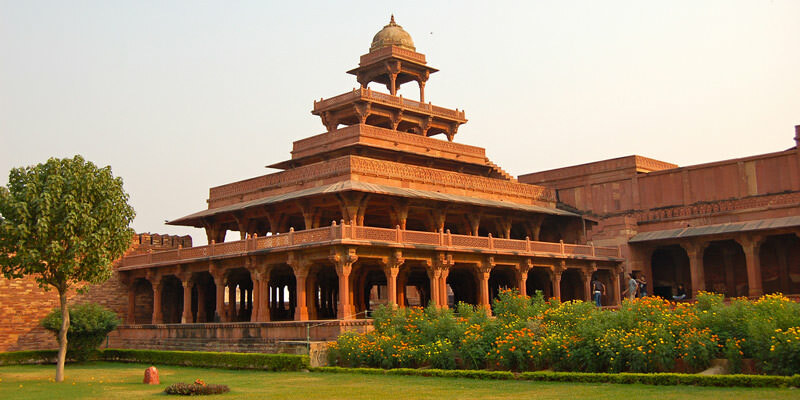 Located in the Amber Palace and is an important part of Jai Mandir. Sheesh Mahal is artistically constructed by decoration of ceilings and walls by the magnificent and minute work of mirror pieces.Sheesh Mahal is global recognised site for tourists. Constructed by Maharaja Jai Singh in 1623 with a purpose to meet its special guests in this Sheesh Mahal. Maharaja imported Belgium glass for its construction. Sheesh Mahal is a place to see an ultimate craftsmanship as beautiful design mirror patterns on the wall and ceilings are in such a way that a small ray of light can light up whole Sheesh Mahal with the mirror reflections. By Road: Sheesh Mahal is located in the Jaipur city, in the Amer Palace. Nearest bus stand is Amer Fort bus stand and one can easily reach here with local taxi or cab. By Rail: Sheesh Mahal, Jaipur is well connected through Jaipur Railway station to major cities railway stations like Delhi, Agra, Mumbai ,Chennai, Bikaner, Jodhpur, Udaipur, Ahmedabad. 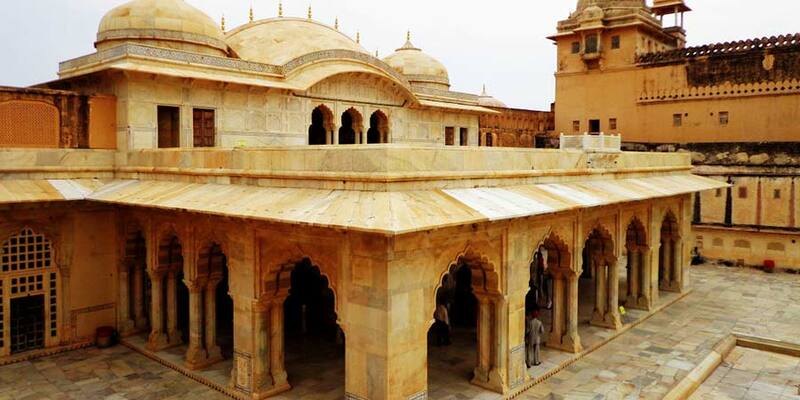 By Air: Sheesh Mahal can be reached through Jaipur Airport, also called Sanganer Airport which is well connected with regular domestic flights to Delhi, Kolkata, Mumbai, Ahmedabad, Jodhpur and Udaipur.